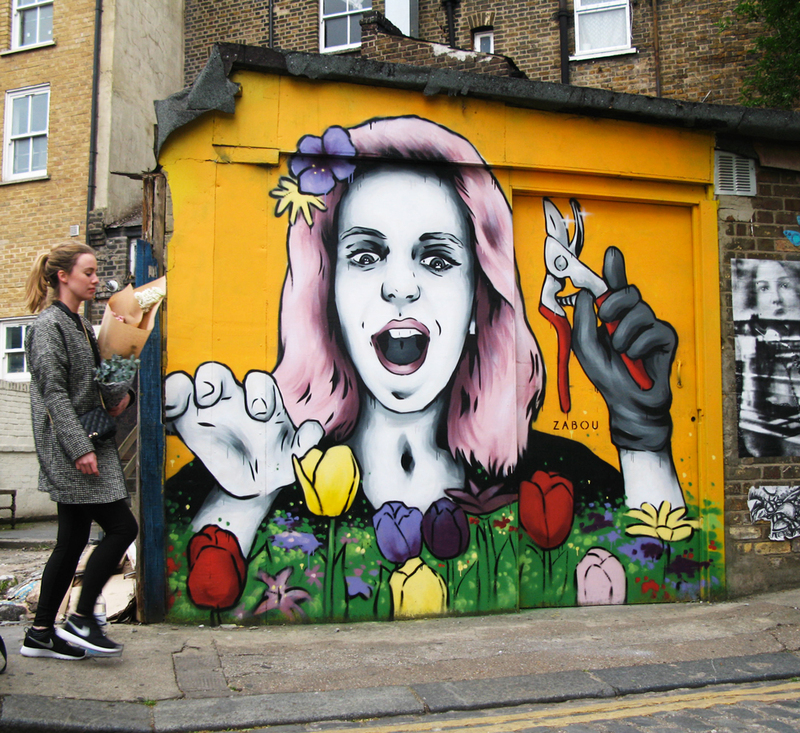 This mural entitled ‘Flower Frenzy’ depicts a pink-haired girl about to cut flowers with a secateur. 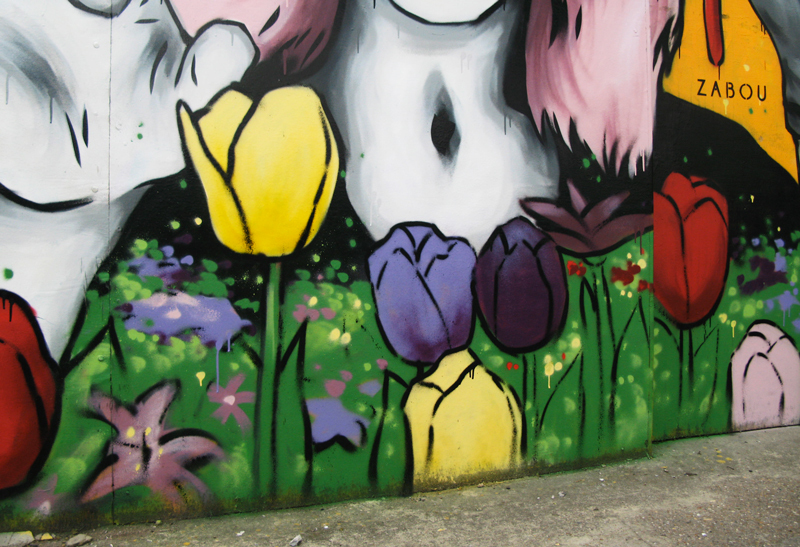 It’s a tribute to the Columbia Road flower market which attracts hundreds of people every Sunday. I hope this brightens up the street even more and make people smile! This Saturday Otto Schade and I painted at the Old Truman Brewery in East London on the 2 large outside panels provided by the venue. My piece features two lovers lying down under a starry sky, the girl is holding star in her hand. It’s a poetic and soft artwork that fits well with the atmosphere of the terrace during summertime. After spending more than 3 years in England, I had to paint something about the ‘amazing‘ weather here! The artwork represents a couple protecting themselves from a colourful rain with an umbrella and a newspaper. 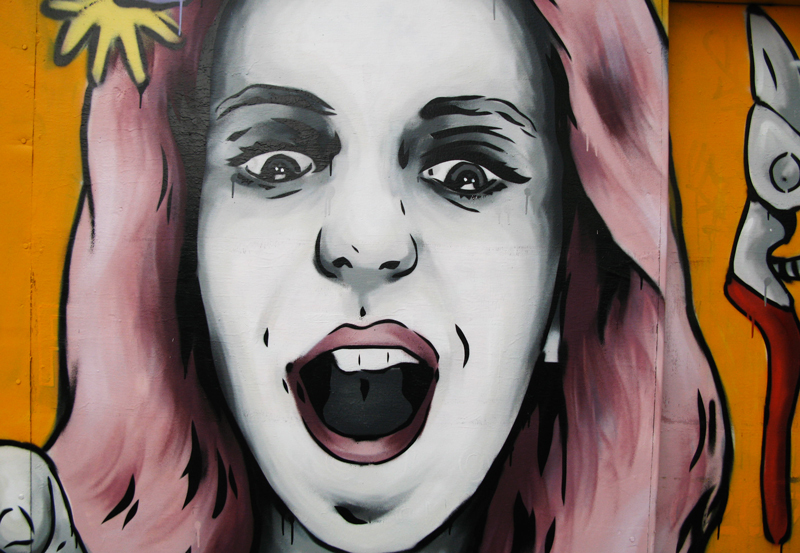 The 5m high piece is located in Broadway Market in East London.